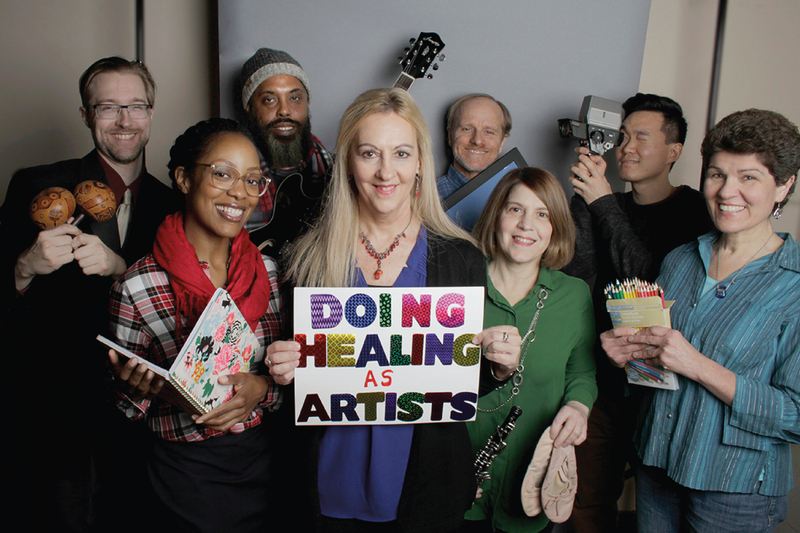 About: Are you interested in using your artistic and spiritual gifts to bring healing and justice? Come join artists and musicians of all kinds (writers, painters, filmmakers, actors, poets, dancers, musicians, singers, spoken word artists, photographers, comedians, songwriters, etc..), as well as art appreciators; in exploring healing for ourselves and others. We encourage each other to grow creatively as well. This season we will be tapping into what “hope” and “healing” looks like for each group member and how we can renew and grow our hope creatively and in our daily walk with God and others. What do we do? We’ll share our story and artistic pieces, pray for and support each other, discuss, do Holy Spirit-led creative activities, community projects, studying and meditating on scripture, and listening to God for each other. We provide encouragement in actively seeing ways to work on our God-given artistic talents to edify God’s community. We practice these things on outreach excursions in the community by supporting artistic events and looking for ways to serve inside and outside the church. There are opportunities to serve with our arts team on the 1st and 3rd Wednesdays of each month in the Vineyard Care Center and in Limitless Ministry. Group meetings are on the second and fourth Mondays of the month from February through the end of April from 7:00-9:00pm at the Evanston Vineyard in La Vina Auditorium. Worship with Creativity/Healing nights: Monday, February 25 and March 25 from 7:00-9:00pm in the La Viña Auditorium. There will be extended worship with group members exploring creativity, then a short message followed by prophetic-prayer ministry time. All are welcome. Let’s worship God together and you’re free to draw, paint, write, sing, play an instrument, dance, etc, during our time together. An art table will be available. There will also be food and water provided free of charge. Arts and Social Justice night: Date to be announced. This night is focusing on how our creative gifts can bring justice, peace, and change to this world. Food and water provided. There will be guest speakers, artists sharing, and prophetic ministry time. Do you need childcare? If so, what are the ages of your children?